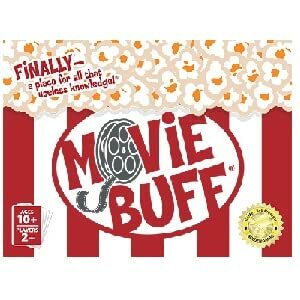 Movie Buff is an award-winning product! Relive Every Movie Ever Made! Bring the popcorn, movie snacks, and get ready for your favorite double feature! 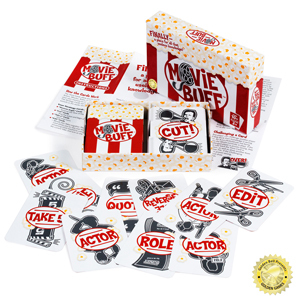 Snuggle up with your family, best friends, and significant other for a trivia card game about every movie! Everyone gets 10 cards to start. 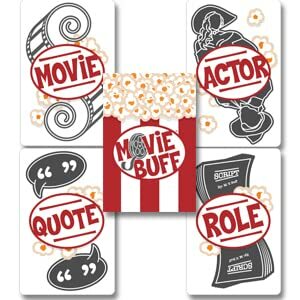 Whoever recently saw a movie goes first, laying down any trivia card from their hand: Movie, Actor, Role, or Quote. Starting with your favorite movie is a good place to start. Then everyone else around you can say their favorite Actors, Roles, and Quotes from that movie! Use strategy cards like reverse angle, take 5, cut!, and edit in case you're ever stumped in the game or want to get rid of your hand faster. The first person to get rid of the 10 cards in their hand wins the game! You can play the game in various different ways! Newly redesigned magnetic box! Learn more about the game using the QR code on the back. 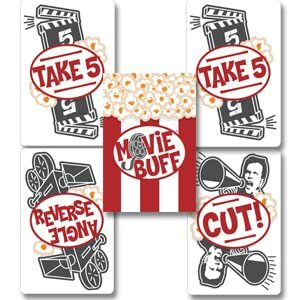 The perfect gift for any movie lover in your life!